Special counsel Robert Mueller has indicted a man with direct ties to both Russian intelligence and the Trump orbit: ex-spy Konstantin Kilimnik. In a superseding indictment (pdf), Mueller’s team accuse Kilimnik and Paul Manafort of obstructing justice and conspiring to obstruct justice, by tampering with two unnamed witnesses. In a previous indictment, Mueller’s team said Kilimnik—named as “Person A”—was a former officer of the Russia’s military intelligence wing, the GRU. Kilimnik was an aide to Manafort, before Manafort became Trump’s 2016 election campaign chair. Kilimnik spent many years running the Kyiv office of Manafort’s lobbying company, which advised autocratic former Ukrainian president Viktor Yanukovych. Although Kilimnik denies it, Mueller’s first indictment alleges that he had ties to Russian intelligence as late as 2016. That would have been at the same time that Rick Gates, another Trump campaign aide, was communicating with him—and just weeks before the US presidential election. The witnesses that Kilimnik and Manafort approached were involved in Manafort’s alleged lobbying campaign on behalf of Ukrainian’s government. 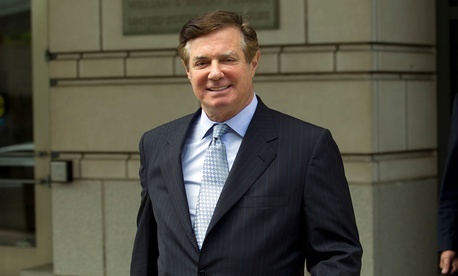 Prosecutors say Manafort broke the law by failing to register as a lobbyist for foreign interests in the US. Manafort has argued that the lobbying was focused on Europe, not the US—and Mueller’s team now accuses Manafort of trying to ask the former European officials to testify to that effect.